Noun Phrases and Nominalizations: The Syntax of DPs is a theoretical study of nominal expressions which covers central aspects of their syntax that have not been approached with concurrent tools in recent years. The study examines the functional structure, offers a structural definition of syntactic nominalization, and carefully draws the border line between the lexical nominalizing mechanism and its syntactic counterpart. The empirical base of the study is broad and varied: it explores the rich nominal system of Modern Hebrew with constant comparisons to relevant structures of other Semitic and non-Semitic languages. The analyses put forward have recourse to a minimal syntactic apparatus, thus lending support to Chomsky's recent view of language design. This book targets researchers in theoretical linguistics and comparative syntax. Alongside theoretical and cross-linguistic findings, the book also offers an abundant source of insights into Hebrew nominal expressions. 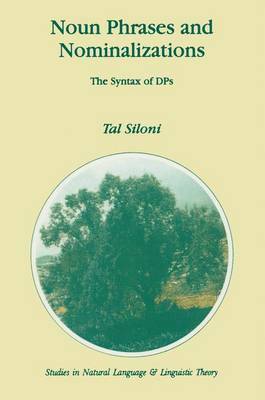 It can be used both as a foundational book on the syntax of nominal expressions or as a reference book for linguists and graduate students of Semitic and comparative syntax.